Akamai Technologies, which has its headquarters in Cambridge, has come under threat by Elliott Management Corp., which has a history of aggressive tactics as an activist investor. 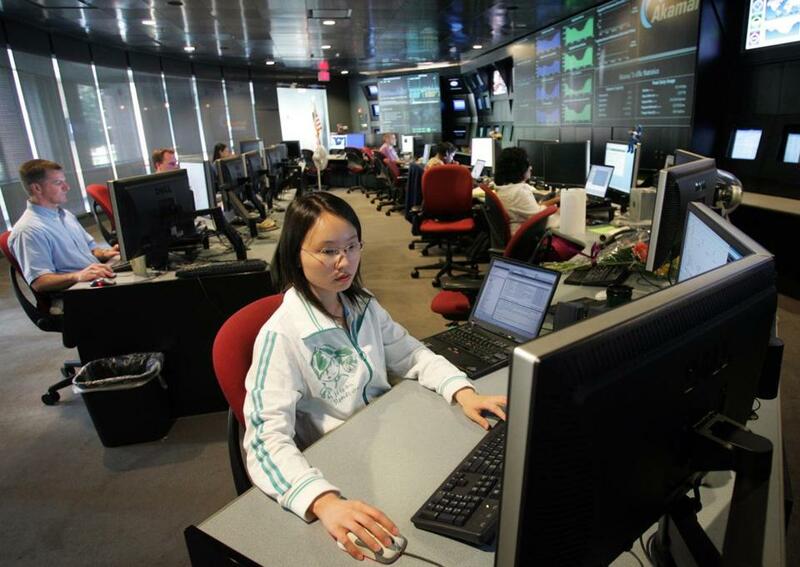 For nearly two decades, Akamai Technologies Inc. has been one of the Boston area’s premier home-grown success stories, hatched in the halls of the Massachusetts Institute of Technology to become a crucial manager of Internet traffic around the world. But just as it undertakes two ambitious expansions — a gleaming new headquarters in Kendall Square and major shift in business strategy — Akamai is now under threat by one of the world’s biggest, most powerful hedge funds, which has a long record of bringing its corporate targets to heel. Activist investor Elliott Management Corp. last week disclosed it has control of about 6.5 percent of Akamai’s shares and will be pushing for changes to its business practices, possibly even a sale of the $11 billion Cambridge company. Famed in investment circles for once seizing an Argentine Navy vessel to force that nation to pay up on its bonds, Elliott’s previous activism has shifted the course of other big Massachusetts companies, including EMC, Iron Mountain, and athenahealth. “Elliott’s not someone you fool around with,” said Nicole M. Boyson, an associate professor of finance at Northeastern University who studies activist investing. In many cases, she said, companies know they are vulnerable even before an activist initiates pressure, because of a lagging stock price, for example, and are wise to engage with the investor. Indeed, Elliott’s underlying argument, that Akamai’s share price has fared poorly during what has been a lengthy bull market, is hard to dispute. Before the disclosure of Elliott’s interest, Akamai’s stock was down 13 percent for 2017, compared to a 34 percent gain for an index of leading stocks on the Nasdaq exchange. Akamai’s earnings are under pressure and are projected to be off this year compared to 2016. It is trying to transition into a new line of business providing network security as its core operation of directing Internet traffic through a global network of servers declines. Elliott’s arrival can certainly stir excitement on Wall Street. Akamai’s shares are up 16 percent since Elliott disclosed its intention, and closed at $66.82 Tuesday, bringing it close to break even for the year. The hedge fund, which has $34 billion under management, declined to comment. In its regulatory filing Elliott said it intends to “engage in a dialogue” with Akamai management about improving its financial performance and operations that could include a “potential strategic review or sale process” of the company or its assets. Akamai has said it “appreciates the views of all our stockholders and we value constructive input toward the common goal of enhancing stockholder value.” It declined to comment further. Boyson suggested Elliott’s involvement could lead to Akamai being put up for sale. For example, analysts from Credit Suisse who follow Akamai said the company could sell for $80 per share. And short of an outright sale, Boyson said it’s possible Elliott could pressure Akamai to cut costs by reducing head count. The company said it has more than 7,500 employees around the world, and just under 2,000 in Massachusetts. David S. Chang, a Boston entrepreneur and investor, has experience with an activist investor leaning on his company. He led the Boston office of PayPal when Carl Icahn was pressuring its corporate parent, eBay, to spin out the payment processor in 2014. Chang said it was all he and his colleagues could do to remain focused on their work. Many people were laid off ahead of the spinout, he said. “It’s kind of like the weather. You can’t control it, and you just deal with it as it comes up,” Chang said. For others, Elliott’s targeting of Akamai was a surprising development for a company that successfully navigated the tumultuous early days of the Internet to become a veteran player that helped facilitate the explosion of online video. Now a co-founder of Spark Capital, Dagres said he hopes Elliott gives Akamai the opportunity to chart its own course and prove its business strategy will work. Andy Rosen can be reached at andrew.rosen@globe.com. Follow him on Twitter @andyrosen.